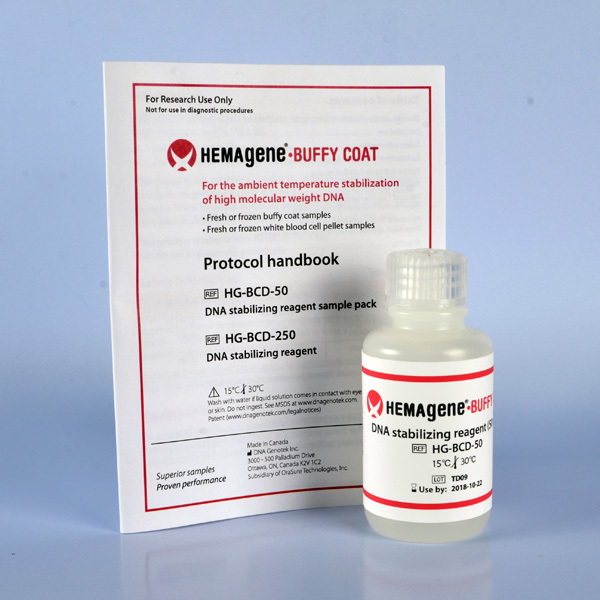 HEMAgene®•BUFFY COAT is a DNA stabilizing reagent designed for ambient temperature transport and room temperature archival storage, while enabling flexible sample management workflows. Maximize the utility of fresh and archived buffy coat samples for downstream DNA applications. Download PD-BR-00138 – HEMAgene®•BUFFY COAT data sheet. 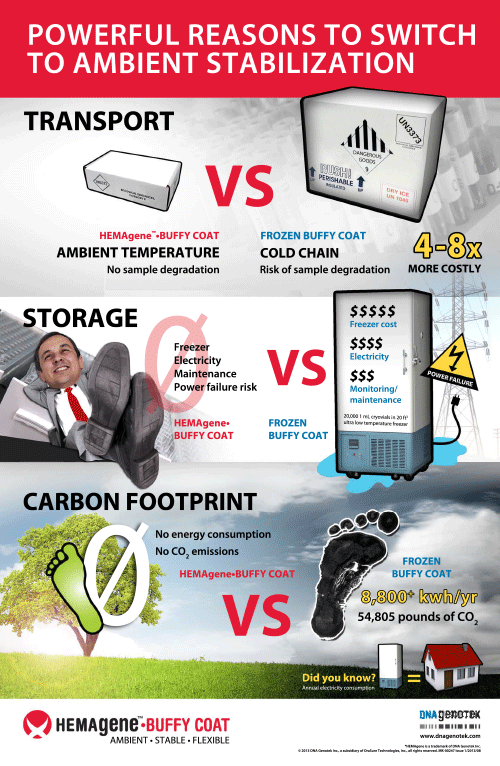 HEMAgene®•BUFFY COAT is for research use only, not for use in diagnostic procedures.